This matching set needs a wet hot paint sign. 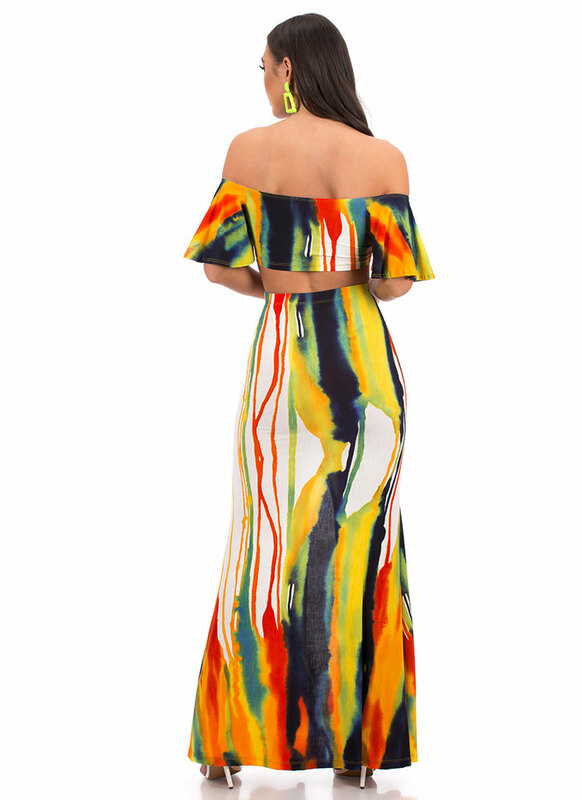 Stretchy, lightweight, two-piece maxi dress features an allover, multi-colored, watercolor or dripping paint print; a crop top with a ruched bust and short bell sleeves; as well as a matching, high-waisted, floor-length skirt with a cut-out slit, a flared silhouette, and shirring down the front for a gathered look. No closures are included. Pattern placement may vary.